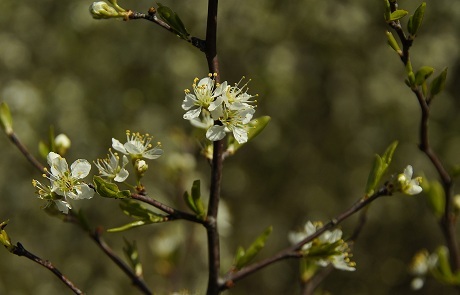 Chickasaw plum, Prunus angustifolia, is Arkansas’ most common thicket-forming plum and the earliest to bloom. Thickets at Holla Bend National Wildlife Refuge, from two to about fifteen feet in height, were so impressively massive, they seemed to monopolize acres of ground. The species is found throughout the state, favoring sites with plenty of soil moisture. The small, tasty plums ripen early, in May. 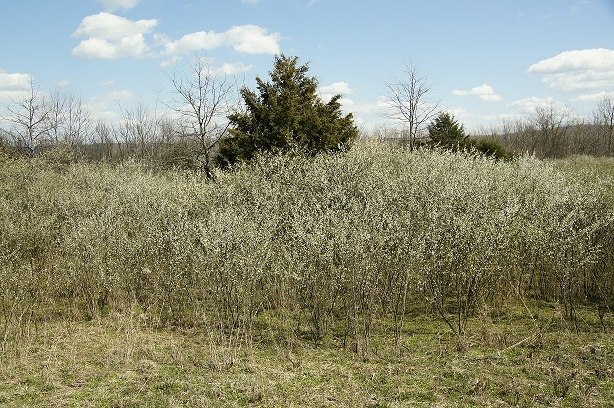 This entry was posted in Native Plants, Plant Alert, Shrubs and tagged Chickasaw Plum, Holla Bend, Neat Plant Alert, Prunus, Prunus angustifolia, Rosaceae. Bookmark the permalink.